The Public Order and Safety Act, which went into effect in March 2018, drastically restricts online media and freedom of expression during “serious incidents” (see Legal Environment). The Parliament convened a Select Committee on Deliberate Online Falsehoods tasked with considering possible responses to the problem of “fake news” online (see Legal Environment). During public hearings, members of the Select Committee on Deliberate Online Falsehoods questioned and intimidated a historian and journalist about their writings relating to the government (see Intimidation and Violence). The 2016 Administration of Justice (Protection) Act, which codifies the offense of contempt of court, came into force in October 2017. Contempt of court is one of the most frequently applied legal restrictions on public debate in Singapore (see Legal Environment and Prosecutions and Detentions for Online Activities). Singapore’s internet freedom environment was stable in 2018. The government continued to actively promote digital technologies while restricting their use for political dissent and for expression that could cause friction between ethnic or religious communities. Singapore topped the World Economic Forum’s Networked Readiness Index global ranking in both 2015 and 2016.1 The internet remains the country’s most vital platform for alternative voices, as it is much more open than other media or public spaces. However, online and offline restrictions mean that the internet cannot foster any significant challenge to the political dominance of the ruling People’s Action Party (PAP). As a wealthy and compact city-state, Singapore has highly developed information and communication technology (ICT) infrastructure. The government has achieved its target of 90 percent home broadband penetration as part of its Intelligent Nation 2015 master plan for an ultra-high-speed, pervasive network. The national wireless network offers free public access. Singapore has adopted a National Broadband Network (NBN) structure, with the network built and operated by an entity that supplies telecommunications services on a wholesale-only, open-access, and nondiscriminatory basis to all telecommunications carriers and service providers.14 To avoid conflicts of interest, separate companies have responsibility for passive infrastructure and active infrastructure such as routers, as well as for retail service provision downstream. During the coverage period, there was no repetition of a 2015 order to shut down a website accused of inciting hatred against foreigners, the only known case of its kind to date. A licensing system introduced in 2013 has been used to limit the growth of independent online news start-ups by restricting their funding options. Despite such measures, the internet remains significantly more open than print or broadcasting as a medium for news and political discourse. The government introduced internet content regulation in 1996 but promised that it would exercise its powers with a “light touch.” As of 2018, it had apparently refrained from blocking or filtering any political content. The Broadcasting Act empowers the MCI minister to prohibit disclosure of any directions to censor content.24 This—together with the fact that most ISPs and large online media companies are close to the government—results in a lack of transparency and public accountability surrounding online content regulation. A separate notice-and-takedown framework exists for high-impact online news sites—those receiving visits from a monthly average of at least 50,000 unique IP (internet protocol) addresses in Singapore. Since the IMDA is not obliged to make its takedown orders public, and there is no culture of leaks from major media organizations, it is not possible to gauge how often this mechanism is used. Eleven news sites have been licensed under this framework. Nine are run by either Singapore Press Holdings (SPH) or MediaCorp—which, as newspaper and broadcasting companies, are already subject to discretionary individual licensing and traditionally cooperate with the government (see Media, Diversity, and Content Manipulation). The only such outlets that do not belong to national mainstream media firms are Yahoo Singapore’s news site and an independent start-up, Mothership. After it was licensed, Yahoo’s reporters were granted the official accreditation that they had sought for several years. In 2015, Mothership became the first individually licensed site not belonging to a major corporation.29 It appears to have been designated purely because it had crossed the regulatory threshold of 50,000 visitors a month. Although it is popular for its irreverent commentary, Mothership is considered moderate and not antiestablishment. The online landscape is significantly more diverse than offline media. YouTube, Facebook, Twitter, and international blog-hosting services are freely available, and most bloggers operate openly. All major opposition parties and many nongovernmental organizations (NGOs) are active online. However, independent and opposition-oriented online news outlets are too small and weak to redress the imbalance in Singapore’s media environment, which continues to be dominated by the PAP establishment. The biggest online news players, in terms of resources and viewership, are the internet platforms of the mainstream newspaper and broadcast outlets owned by SPH and MediaCorp. MediaCorp is state owned; while SPH previously held a 20 percent stake in MediaCorp Press, it sold its shares back to MediaCorp in September 2017.33 SPH is a publicly listed company, but under the Newspaper and Printing Presses Act, the government can nominate individuals to its board of directors. Since the 1980s, every SPH chairman has been a former cabinet minister. The government is known to have a say in the appointment of SPH’s chief executives and chief editors.34 Both companies’ websites are subject to the notice-and-takedown framework (see Content Removal), but the main avenue of control is the routine self-censorship that also afflicts their parent news organizations. Meanwhile, the Online Citizen and the Independent, two sites known for critical commentary, have never had the capacity to generate original daily news or regular investigative features.37 These sites come under special IMDA registration rules that prohibit foreign funding and require the sites to provide details about funding sources.38 In effect, this shuts out grants and loans from foreign foundations, which have been essential for most independent political sites in the region. So far, Mothership appears to be sustaining itself financially, though some of its sponsored content has been suspected of being paid for by the government. The site identifies its sponsored posts without naming the sponsor. This has contributed to what analysts call a “normalization” of online space, with the PAP’s ideological dominance of the offline world increasingly reflected online.40 Reinforcing the trend is the proliferation of social media, which seems to have encouraged a previously silent mainstream population to air their views more readily. Analysts described some possible content manipulation around the 2015 general elections, when online rumors in the form of bookies’ odds gave detailed predictions of opposition victories in several constituencies. Since election laws ban opinion polling, these underground predictions were the only quantitative indicators of likely outcomes available to voters. Several versions were circulated widely via WhatsApp within the nine-day campaign period. The messages, pointing to an impending opposition landslide, may have spooked some swing voters and caused them to vote more conservatively.43 The case illustrates how political operatives might be able to manipulate voter sentiment in an environment where high-quality information is limited by regulatory constraints. Bloggers have pointed out some (largely progovernment) online commentators who hide behind anonymous profiles; these accounts are often referred to as members of the “Internet Brigade,” or IBs.44 However, there is no concrete evidence of large-scale covert deployment of paid online commentators. The internet is regularly used for popular mobilization by groups from across the political spectrum. The success of these efforts is constrained less by online regulation than by offline restrictions on fund-raising and public assembly. There is only one location—a small downtown park designated as a Speakers’ Corner—where Singaporeans can gather without a police permit. Self-censorship in online discourse is mainly due to fear of postpublication punitive action—especially through strict laws on defamation, racial and religious insult, and contempt of court. While citizens remain free from major human rights abuses and enjoy high levels of personal security in Singapore, the government places a premium on order and stability at the expense of civil liberties and political dissent. The authorities are believed to exercise broad legal powers to obtain personal data for surveillance purposes in national security investigations. The republic’s constitution enshrines freedom of expression, but it also grants Parliament leeway to impose limits on that freedom.48 As the ruling party controls over 80 percent of the seats in the legislature, the laws it passes tend to be short on checks and balances. Several legislative initiatives that were pursued over the past year have the potential to negatively affect internet freedom in Singapore. Contempt of court was already one of the most frequently applied legal restrictions on public debate in Singapore, invoked against bloggers who wrote about such issues as discrimination against LGBTI people and the treatment of opposition politicians in the courts.57 Critics had been calling for Singapore’s contempt laws to be liberalized in line with other Commonwealth jurisdictions, but the new law was passed with 72 votes to 9, with members of the opposition Workers’ Party voting against. The Newspaper and Printing Presses Act and the Broadcasting Act, which also covers the internet, grant sweeping powers to ministers as well as significant scope for administrative officials to fill in the details through vaguely articulated subsidiary regulations, such as website licensing and registration rules (see Content Removal and Media, Diversity, and Content Manipulation). Other laws that have been used to restrict online communication, such as the Sedition Act and the Political Donations Act, are open to broad interpretation by the authorities. The Sedition Act, which dates to the colonial era, makes it an offense “to bring into hatred or contempt or to excite disaffection against the Government” or “to promote feelings of ill-will and hostility between different races or classes of the population of Singapore,” among other things.58 Punishments for first-time offenders can include a prison term of up to three years. Newer provisions in the penal code (Section 298) provide for prison terms of up to three years for offenders who act through any medium with the “deliberate intention of wounding the religious or racial feelings of any person.”59 In Singapore’s first cases of imprisonment for online speech in 2005, the defendants were punished under the Sedition Act for posts that insulted Muslims.60 Police appear to regularly investigate complaints of insult and offense. In most known cases, police intervention at an early stage has been enough to elicit apologies that satisfy complainants. Under the 2014 Protection from Harassment Act, a person who uses “threatening, abusive, or insulting” expression likely to cause “harassment, alarm, or distress” can be fined up to SGD 5,000 (US$3,700).64 Victims can also apply to the court for a protection order, which could include a ban on continued publication of the offending communication. The government inserted into the law a section providing civil remedies for the publication of “false statements of fact” about a person. The affected party can seek a court order requiring that the publication of the falsehood cease unless a notice is inserted to set the record straight. A few individuals were charged for using the internet for social or political activities during this report’s coverage period, though there were no new convictions leading to prison sentences. In November 2017, activist Jolovan Wham was charged with organizing public assemblies without a permit, vandalism, and refusing to sign statements to the police.67 One of the assemblies in question was an indoor forum in which Hong Kong prodemocracy activist Joshua Wong participated as a speaker via Skype. The authorities argued that because Wong is a foreign speaker, a permit should have been obtained for the event.68 Those convicted of organizing public assemblies without a permit can be fined up to SGD 5,000 (US$3,700); repeat offenders can be fined up to SGD 10,000 (US$7,500) and imprisoned for up to six months. Although the vandalism law provides for a fine of up to SGD 2,000 (US$1,500) or up to three years’ imprisonment with three to eight strokes of the cane, first-time offenders who use nonpermanent substances will not be caned. In August 2017, the Attorney-General’s Chambers sought and was granted permission to begin contempt of court proceedings against Li Shengwu, the nephew of Prime Minister Lee Hsien Loong.70 Li’s father, Lee Hsien Yang, had been involved in a public feud—largely conducted over social media—with his brother, the prime minister. Li had shared a Wall Street Journal article in a friends-only post on his Facebook page with the comment that the “Singapore government is very litigious and has a pliant court system,” which the Attorney-General’s Chambers described as an “egregious and baseless attack” on the judiciary. Proceedings were initiated after Li refused to retract his statement and apologize. Following his release, Yee continued with his online commentary, including on religious themes. Again falling foul of Section 298, he pleaded guilty in September 2016 to six counts of posting videos and blogs that were derogatory of Christianity and Islam. He was sentenced to six weeks in jail. Actions have also been taken against internet users in connection with election law violations. In August 2016, the police served the Middle Ground with a “stern warning” in lieu of prosecution for publishing an article on its street poll of 50 voters ahead of a May 2016 by-election.77 The site had already complied with an order to take down the article.78 The Parliamentary Elections Act prohibits the publication of election surveys during the official campaign period. The election law also prohibits campaigning on polling day and the day before (“cooling-off day”). The offense is defined broadly to cover commentary, including by individuals and groups with no party affiliations. In February 2017, police issued stern warnings to four individuals for breaching this rule. One was the founder of the pro-PAP Facebook page “Fabrications About the PAP,” while the other three were associated with the Independent, which has no formal party links.79 Two prominent activists, Roy Ngerng and Teo Soh Lung, were also investigated for breaches of cooling-off day rules; their phones and computers were confiscated (see Surveillance, Privacy, and Anonymity).80 In contrast, the authorities do not appear to have investigated suspicious “fake news” that may have affected the 2015 general elections result (see Media, Diversity, and Content Manipulation). Singapore has no constitutionally recognized right to privacy, and law enforcement authorities have broad powers to conduct searches on computers without judicial authorization.81 While many people try to communicate anonymously online in Singapore, their ability to conceal their identities from the government is limited. Registration is required for some forms of digital interaction. Government-issued identity cards or passports must be produced when buying SIM cards, including prepaid cards, and buyers’ details must be electronically recorded by vendors. Registration for the [email protected] public Wi-Fi network also requires identity details. Under the sweeping Computer Misuse and Cybersecurity Act, the minister for home affairs can authorize the collection of information from any computer, including in real time, when satisfied that it is necessary to address any threat to national security.85 Court permission is not required. Failure to comply with collection orders is punishable with a fine of up to SGD 50,000 (US$37,000), a prison term of up to 10 years, or both. Under the criminal procedure code, police officers investigating arrestable offenses may at any time access and search the data of any computer they suspect has been used in connection with the offense.86 No warrant or special authorization is needed. Penalties for noncompliance can include a fine of up to SGD 5,000 (US$3,700), six months in jail, or both. With authorization from the public prosecutor, police can also require individuals to hand over decryption codes, failing which they are subject to fines of up to SGD 10,000 (US$7,500), jail terms of up to three months, or both. There were no violent incidents targeting internet users in the past year. However, the lack of protections for the expression of unpopular or dissenting views means that ICT users cannot be said to operate in an environment free of fear. In April 2018, members of civil society criticized the way the Select Committee on Deliberate Online Falsehoods held its public hearings, accusing the committee of not adhering to its own terms of reference.96 Historian Thum Pingtjin was questioned for six hours about his work and expertise on Singapore history in response to a claim he made in his submission that the government had itself been guilty of spreading “fake news” when it carried out detentions without trial. During her session, journalist Kirsten Han was questioned about an article she had written in an exchange that ended with a committee member telling her that she had “not yet” been sued or jailed. Thum and Han are the managing director and editor in chief, respectively, of New Naratif. Shortly after the Select Committee sessions, the authorities rejected an application by New Naratif’s parent company to register a subsidiary in Singapore (see Media, Diversity, and Content Manipulation). In April 2017, Parliament approved the addition of new cybersecurity provisions to the Computer Misuse and Cybersecurity Act.99 The amendments make it an offense for a person to use or trade illegally obtained data even if they were not involved in the technical attack through which the information was obtained. Separately, the Cybersecurity Act was passed in Parliament in February 2018 and came into force in March (see Legal Environment). 1 World Economic Forum, “Singapore,” in Global Information Technology Report 2016, http://reports.weforum.org/global-information-technology-report-2016/economies/#indexId=NRI&economy=SGP. 14 iDA, “Building Singapore’s Next Generation Nationwide Broadband Network, http://bit.ly/1LlvOnl. 15 Irene Tham, “MyRepublic starts 4G trials as part of bid for fourth telco licence,” Straits Times, October 23, 2015, http://www.straitstimes.com/tech/myrepublic-starts-4g-trials-as-part-of-bid-for-fourth-telco-licence. 16 Shivaanan Selvasevaran, “ViewQwest sets sights on smart home market,” Channel News Asia, November 19, 2015, http://www.channelnewsasia.com/news/singapore/viewqwest-sets-sights-on/2275218.html. 19 Irene Tham, “Merger of IDA, MDA spurred by changes in tech,” Straits Times, January 27, 2016, http://www.straitstimes.com/singapore/merger-of-ida-mda-spurred-by-changes-in-tech. 20 Conditions of Class Licence, Section 2A (2), Broadcasting (Class Licence) Notification under the Broadcasting Act (Chapter 28) Section 9, last revised May 29, 2013, http://www.mda.gov.sg/RegulationsAndLicensing/Licences/Documents/Internet%20Services%20and%20Content%20Provider%20Class%20Licence/Class%20Licence%20%28Post%20ONLS%29.pdf. 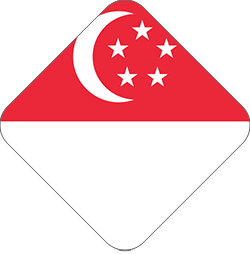 21 “Internet,” Media Development Authority Singapore, Regulations & Liscensing, accessed July 9, 2014, http://www.mda.gov.sg/RegulationsAndLicensing/ContentStandardsAndClassification/Pages/Internet.aspx. 22 “MCI's response to PQ on the Ashley Madison website,” Ministry of Communications and Information Press Room, November 11, 2013, http://www.mci.gov.sg/content/mci_corp/web/mci/pressroom/categories/parliament_qanda/mci-s-response-to-pq-on-the-ashley-madison-website.html. 23 Terence Chong, “Christian Evangelicals and Public Morality in Singapore,” ISEAS Perspective 17 (2014): 1-11, accessed July 9, 2014, http://www.iseas.edu.sg/documents/publication/ISEAS_Perspective_2014_17-Christian_Evangelicals_and_Public_Morality_in_Singapore.pdf. 24 Broadcasting Act (Chapter 28) Section 3(5). 25 Belmont Lay, “Media Development Authority statement on The Real Singapore,” Mothership, May 3, 2015, http://mothership.sg/2015/05/media-development-authority-statement-on-the-real-singapore/. MDA statement: http://www.mda.gov.sg/AboutMDA/NewsReleasesSpeechesAndAnnouncements/Pages/NewsDetail.aspx?news=661. 26 Chan Luo Er, “MDA was right to shut down The Real Singapore: Yaacob Ibrahim,” Channel News Asia, August 22, 2015, http://www.channelnewsasia.com/news/singapore/mda-was-right-to-shut/1837480.html; “MCI's response to PQs on Licensing Framework for online news sites,” Ministry of Communications and Information, July 8, 2013,http://www.mci.gov.sg/content/mci_corp/web/mci/pressroom/categories/parliament_qanda/mci_s_response_topqsonlicensingframeworkforonlinenewssites.html. 27 Broadcasting (Class Licence) Notification under the Broadcasting Act (Chapter 28) Section 9, revised May 29, 2013, G.N. No. S330/2013. 28 “Fact Sheet – Online news sites to be placed on a more consistent licensing framework as traditional news platforms,” Media Development Authority Singapore, May 28, 2013, http://www.mda.gov.sg/AboutMDA/NewsReleasesSpeechesAndAnnouncements/Pages/NewsDetail.aspx?news=4. 29 “Mothership.sg to come under online news licensing framework,” Channel News Asia, July 30, 2015, http://www.channelnewsasia.com/news/singapore/mothership-sg-asked-to/2017168.html. 34 Cherian George, Freedom From The Press: Journalism and State Power in Singapore. Singapore: National University of Singapore, 2012. 37 Walter Sim, “The Online Citizen now a one-man show,” Straits Times, March 3, 2016, http://www.straitstimes.com/politics/the-online-citizen-now-a-one-man-show. 38 Wong Pei Ting, “MDA seeks registration of website The Middle Ground,” Today, July 29, 2015, http://www.todayonline.com/singapore/mda-seeks-registration-website-middle-ground. 40 Tan Tarn How, “The normalisation of the political cyberspace since the 2011 GE,” Today, August 26, 2015, https://nus.edu/2eGv727; Tan Tarn How, Tng Ying Hui and Andrew Yeo, “Whispers, not shouts: A re-reading of the social media space,” Straits Times, December 4, 2015, https://nus.edu/2fwli8k. 42 Tan Tarn How, “The normalisation of the political cyberspace since the 2011 GE”; Pearl Lee, “Supporters seek to amplify PAP voice online,” Straits Times, September 20, 2015, http://www.straitstimes.com/politics/supporters-seek-to-amplify-pap-voice-online; Tan Tarn How, Tng Ying Hui and Andrew Yeo, “Battle for Eyeballs: Online Media in the 2015 Election,” September 11, 2015,http://www.ipscommons.sg/battle-for-eyeballs-online-media-in-the-2015-election/. 43 Jeanette Tan, “7 illuminating conclusions two political analysts made of the GE2015 results,” Mothership, November 5, 2015, http://mothership.sg/2015/11/7-illuminating-conclusions-two-political-analysts-made-of-the-ge2015-results/. 48 Constitution of the Republic of Singapore, Section 14. 58 Sedition Act (Chapter 290) Section 3. 59 Penal Code (Chapter 224), Section 298. 60 Jaclyn Ling-Chien Neo, “Seditious in Singapore! Free speech and the offence of promoting ill-will and hostility between different racial groups,” Singapore Journal of Legal Studies 2011: 351-372, http://law.nus.edu.sg/sjls/articles/SJLS-Dec11-351.pdf. 61 Penal Code (Chapter 224), Sections 499-500. 62 Michael Palmer, “Damages in Defamation: What is Considered and What is Awarded?” Law Gazette, May 2005, http://www.lawgazette.com.sg/2005-5/May05-feature3.htm. 64 Protection From Harassment Act, https://sso.agc.gov.sg/Act-Rev/PHA2014/. 71 Global Freedom of Expression, Columbia University, “Public Prosecutor v. Amos Yee Pang Sang,” https://globalfreedomofexpression.columbia.edu/cases/public-prosecutor-v-amos-yee-pang-sang/. 74 Singapore is a state party to the UN Convention on the Rights of the Child. 76 Elena Chong, “TRS ad revenue 'used to pay mortgage on couple's apartment',” Straits Times, March 29, 2016, http://www.straitstimes.com/singapore/courts-crime/trs-ad-revenue-used-to-pay-mortgage-on-couples-apartment. 81 Privacy International, “The Right to Privacy in Singapore,” Universal Periodic Review Stakeholder Report, 24th Session, June 2015, https://www.privacyinternational.org/sites/default/files/Singapore_UPR_PI_submission_FINAL.pdf; M. Ravi, “At what cost of citizen’s privacy, comes their freedom and security,” The Online Citizen, May 12, 2016,http://www.theonlinecitizen.com/2016/05/at-what-cost-of-citizens-privacy-comes-their-freedom-and-security/. 82 Terence Lee, “Singapore an advanced surveillance state, but citizens don't mind,” Tech In Asia, November 26, 2013, accessed July 10, 2014, http://www.techinasia.com/singapore-advanced-surveillance-state-citizens-mind/. 83 Columbia School of International and Public Affairs, “Singapore,” in Mapping Global Surveillance and Proposing Solutions to Respect Human Rights, Spring 2015, https://pdfs.semanticscholar.org/36a9/5f793d87f54b23fb36a8bedf43a765860440.pdf. 85 Computer Misuse and Cybersecurity Act (Chapter 50A) Section 15A. 86 Criminal Procedure Code (Chapter 68) Section 39. 87 Terry Xu, “Teo Soh Lung visibly shaken from police raid involving 7-8 officers without search warrant,” The Online Citizen, June 1, 2016, http://www.theonlinecitizen.com/2016/06/01/teo-soh-lung-visibly-shaken-from-police-house-raid-of-7-8-officers-without-search-warrant/. 88 Bertha Henson, “Singapore opinion news site Breakfast Network to shut down,” Breakfast Network, via Yahoo Singapore, December 10, 2013, https://sg.news.yahoo.com/blogs/singaporescene/kitchen-closed-161623269.html. 89 “Singapore Government's Requests to Web Services Companies for User Data,” Singapore Parliament Reports, October 21, 2013, http://bit.ly/1OZ07H7. 90 “Personal Data Protection Act Overview,” Personal Data Protection Commission Singapore, last modified February 28, 2014, http://www.pdpc.gov.sg/personal-data-protection-act/overview. 93 Phillip Dorling, “Australian spies in global deal to tap undersea cables,” Sydney Morning Herald Technology, August 29, 2013, http://www.smh.com.au/technology/technology-news/australian-spies-in-global-deal-to-tap-undersea-cables-20130828-2sr58.html; Malay Mail Online, “Top-Secret expose: Singapore helping US spy on Malaysia,” Yahoo! News Singapore, November 25, 2013, accessed July 9, 2014,https://sg.news.yahoo.com/top-secret-expos-singapore-helping-us-spy-malaysia-052600023.html. 94 Shane Harris, “The Social Laboratory,“ Foreign Policy, July 29, 2014, http://foreignpolicy.com/2014/07/29/the-social-laboratory/.